The Frail Intervention Team (FIT) encompasses Health & Social Care Professionals who developed a whole system pathway for frail older people to ensure they are managed assertively at the ‘front door’ to enable a multidisciplinary team (MDT) consensus to ensure best possible care for the patient with admission avoidance where possible and where admission is unavoidable, to ensure their length of stay is kept to a minimum. 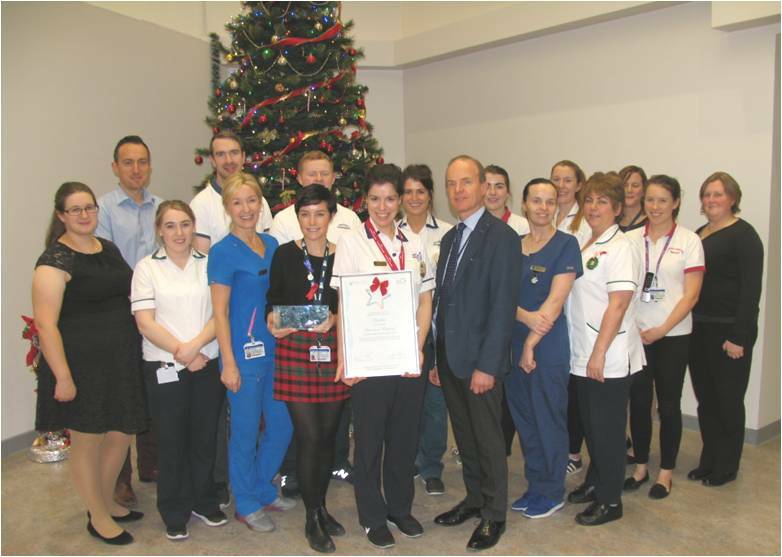 This initiative has garnered a number of national initiative nominations and awards this year with the ultimate success of the project being that the older patient has a reduced length of stay and goes home earlier with the supports of the community. There is also a reduced requirement for additional acute care beds, rehab beds and nursing home beds. Congratulations to the team on this hugely successful initiative which quite simply encourages a ‘home first’ ethos as our population gets older and requires more acute medical services. Please see link to this You Tube video if you would like to know more about the FIT Team.